Felix’s health had been progressively declining for the past 15 years with a rapid descent the last 2 years as his liver cancer caused kidney failure. 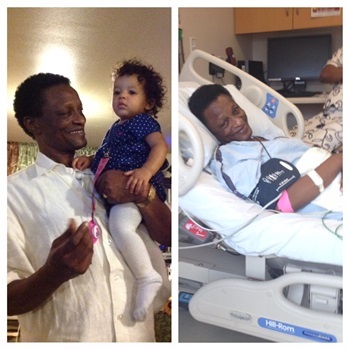 Recently Felix received the precious gift of both a liver and kidney transplant. With perseverance and determination to keep living, he had the strength to endure his 12-hour transplant surgery and he is now on the slow but steady journey to recovery but he needs your help because even with insurance, the cost of transplants can quickly become overwhelming. Felix (59) was born and raised in his home country of Congo, in the city of Bukavu. 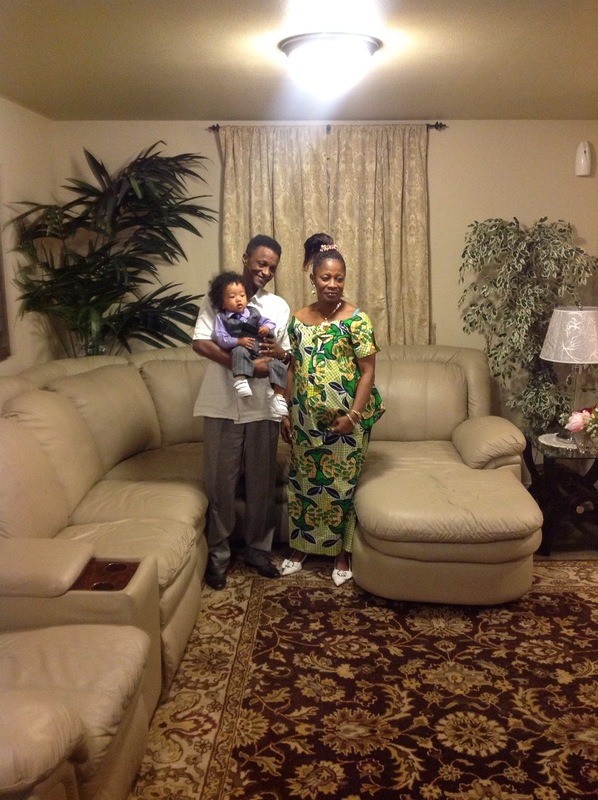 Later he moved to the capital city of Kinshasa where he met his wife of almost 40 years and raised their 11 children. A civil war broke out in 1998 which forced Felix to go into hiding in his own home where he lived in the attic for over a year and as a result caused the onset of many health problems. In 1999, he and most of his family were able to escape their country and went to live in a refugee camp in the country of Benin where he stayed for 3 years. Finally, in 2002, he immigrated with his family to the United States and he proudly became a citizen of the United States of America ten years later. Felix is filled with love and passion and kindness. He’s always helping others with such humbleness and is a very beloved member of his community. Now he is the one that needs help. Though he now has the priceless and precious gift of a new life ahead, he will rely on very important and expensive medication and a close relationship with his transplant specialists the rest of his life. Your donations will go towards Felix’s medical bills, prescriptions and relocation to be closer to his doctors for the first 3-6 months of his recovery journey. Even after insurance his bills and prescriptions and top $10,000 per year. Your donations will bring hope to him and his family. To help with the financial burden of Felix’s uninsured expenses, he may apply to receive assistance from the Help Hope Live Southwest Liver/Kidney Transplant Fund. Help Hope Live is a trusted nonprofit organization that has been providing community-based fundraising guidance to patients and their families for more than 30 years. All donations are tax-deductible to the full extent allowed by law, the property of Help Hope Live and are administered by Help Hope Live for transplant-related expenses only. Please consider a contribution.